Students at Vivien T. Thomas Academy participate in round table discussions with medical professionals at the Celebration of Excellence event. 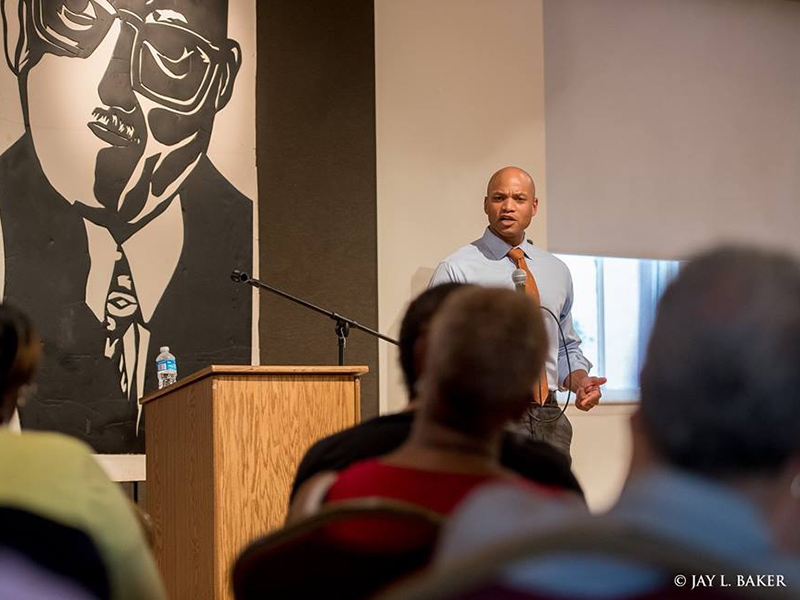 Funded programs gathered residents of Maryland to connect with one another across lines of race, socio-economic background, and/or geographical boundaries for deep dialogue and reflection on the role and legacy of race and ethnicity in our contemporary lives. 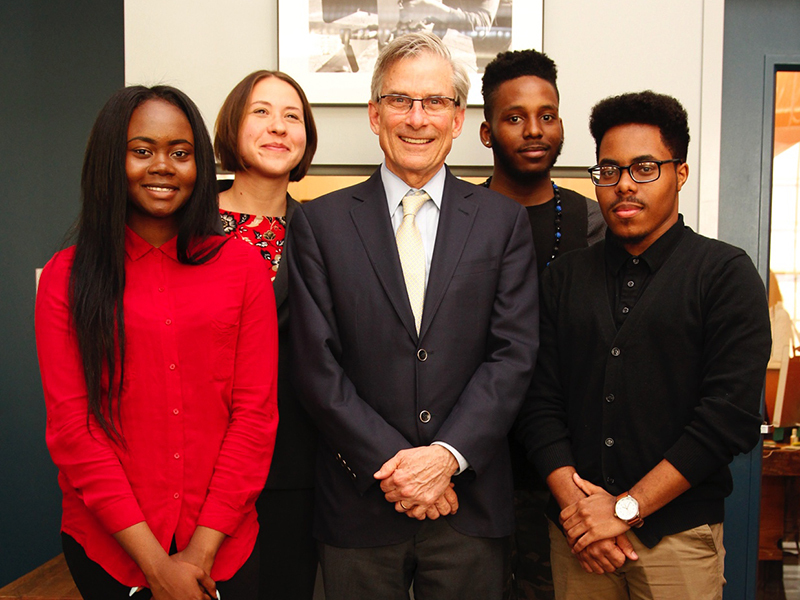 Programs used the humanities as a lens through which to view the topics of race and class and encourage difficult discussions around inequity in housing, education, economic opportunities, and other subjects. Back row (l-r): Students Deneira Ray, Dom Carter, (student), Dr. Karsonya Whitehead, and student Jadzia Hall. 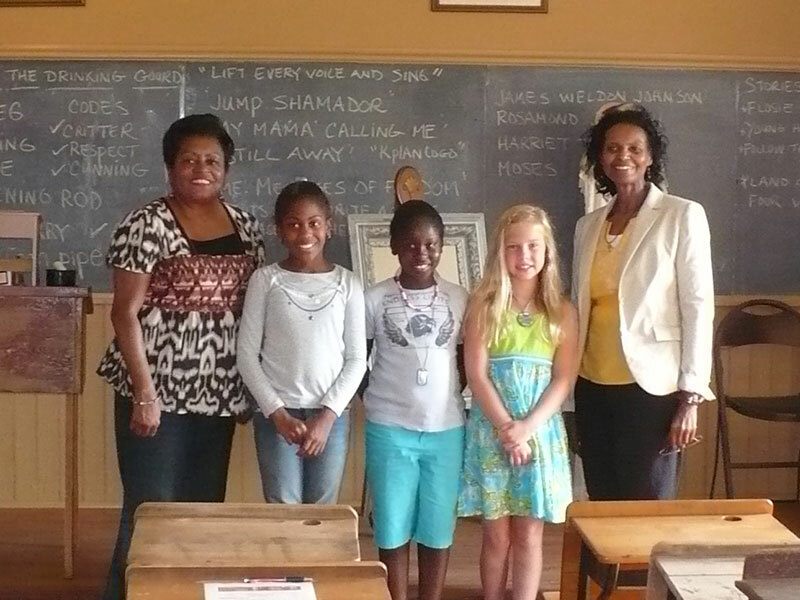 Middle row (l-r): Student Shakura Shird, teacher Ms. Harrington, Poet Kondwani Fidel, and student Leandre Carroll. Front: Kamerin Crase. 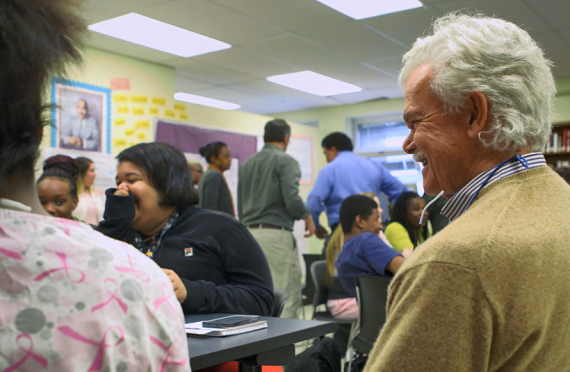 In November 2015, Maryland Humanities announced a new special grant program, the Humanities Fund for Baltimore. 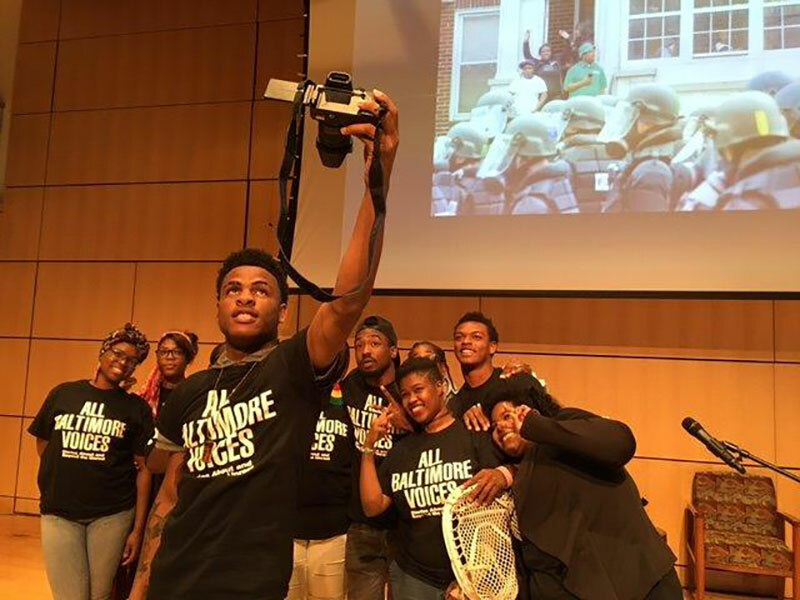 This program was formed to support local nonprofit organizations in creating public programs that use the humanities to respond to, interpret, and shed light on the Baltimore unrest of April 2015. 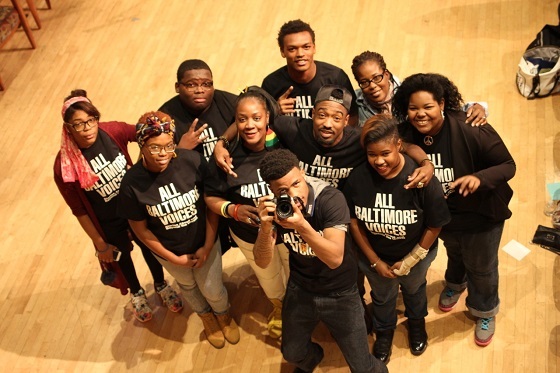 Funded programs brought people together to understand the many contexts for the unrest, support humanities programs that educated young people and adults about the history and roots of economic and racial inequality in communities of color in Baltimore City, and tap into and build on work already being done by others in the community.